This article has been written and fact-checked by Emily Kyle MS, RDN, CLT, HCP, a Certified Holistic Cannabis Practitioner and Registered Dietitian Nutritionist. Click here to learn more. Everything you need to know before you Buy Cannabis Oil including the various types of cannabis oil like CBD Oil, Hemp Seed Oil, THC oil, their potential health benefits, and where to buy cannabis oil online. As a Holistic Cannabis Practitioner, I get a lot of questions about buying cannabis oil. Many of these questions stem from a genuine misunderstanding of the cannabis plant and what it can, and cannot, do. If you are looking to buy cannabis oil, you must first know which type of cannabis oil you are looking for, and what to look for in terms of quality and safety. The term ‘Cannabis Oil’ is an umbrella term used to categorize different oil types extracted from the cannabis plant. To understand the classification and subsequent legalities of different forms of cannabis oil, lets first review basic plant taxonomy. Let’s take it back to high-school biology class for a minute to revisit plant taxonomy. Plant taxonomy is known as the identification, classification, and description of plants). Plant taxonomy places plants into groups or categories to show a relationship. You may recall the hierarchy: Kingdom, Phylum, Class, Subclass, Series or Order, Family, Genus, Species, and Variety. While I am no expert in binomial nomenclature, I will give you my best lay-mans explanation. Kingdom: Anamilia, Phylum: Chordata, Class: Mammalia, Order: Carnivora, Family: Felidae, Genus: Feliz, Species: Catus. Marijuana and hemp are derived from the cannabis plant. Hemp and marijuana both come from the same species, but they are different strains of the cannabis plant. Different strains have been bred with different purposes in mind. Both marijuana and hemp are species of the cannabis plant, making both marijuana oil and hemp oil technically a cannabis oil. However, it is important not to confuse the two because they both have different proprieties, intended uses, and legal restrictions. There are many differences between hemp and marijuana when it comes to the plants cultivation, function and application. The most important difference is the chemical makeup of the plant, specifically how much THC it contains. Industrial hemp plants naturally produce higher levels of cannabidiol (CBD) and lower levels of tetrahydrocannabinol (THC). In order to be classified as hemp, the hemp plant must contain less than a 0.3% concentration of THC. Industrial hemp was legalized by the Federal Government with the passage of The Farm Bill in December of 2018. Learn more about the passage of The Farm Bill here. A cannabis plant is classified as a marijuana plant if it contains more than 0.3% THC. A marijuana plant typically contains anywhere from a 5-35% concentration of THC. Marijuana plants produce higher levels of tetrahydrocannabinol (THC) and lower levels of cannabidiol (CBD). Despite medical cannabis laws now present in 46 states, marijuana is still illegal under Federal Law. Alaska, California, Colorado, Maine, Massachusetts, Michigan, Nevada, Oregon, Vermont, Washington, and Washington DC. The active components, and associated health benefits, of cannabis oil will vary depending on the type of cannabis oil you are using. 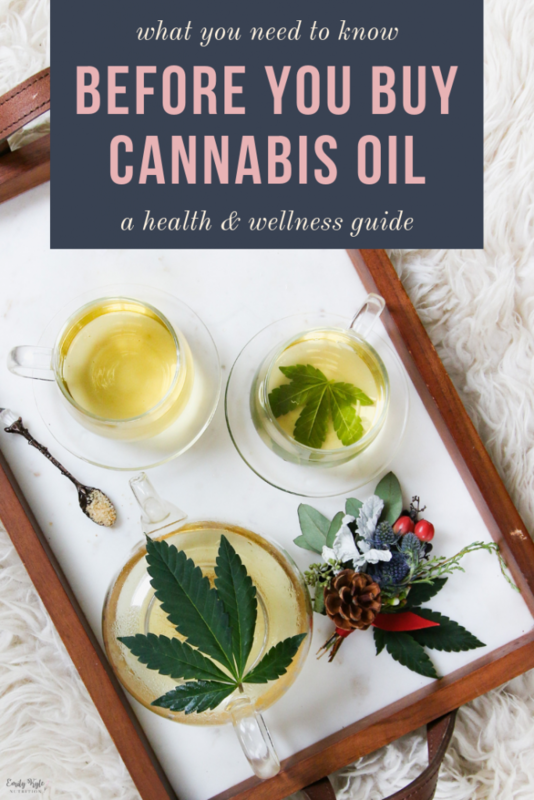 Below we will explore the active components of different types of cannabis oil, why you would want to use each one, what the health benefits are, and whether or not it is legal to use. What is CBD or Cannabidiol Oil? CBD is short for cannabidiol which is the second most abundant of all the cannabinoids. This cannabinoid is non-psychoactive meaning it does not give the feeling of intoxication or ‘being high’. CBD Oil is most commonly derived from the hemp plant and considered to be CBD Hemp Oil. Cannabinoids are organic compounds found in the cannabis plant. They interact with endocannabinoid receptors in the body and trigger a variety of effects. To date, over 100 cannabinoids have been identified. The endocannabinoid system acts as a balancing mechanism for other body systems such as the circulatory, nervous and digestive systems. You may have seen different CBD products on the market place labeled as either Full Spectrum CBD Oil or Broad Spectrum CBD Oil, but what is the difference? Full Spectrum CBD Oil contains everything that the hemp plant contains, including the terpenes, cannabinoids, flavonoids, and fatty acids found in hemp. All of the constituents have therapeutic value of their own and help create what’s known as the entourage effect. Broad Spectrum CBD Oil contains the same compounds as mentioned above for the Full Spectrum CBD Oil, however the Broad Spectrum CBD Oil contains NO trace amounts of THC. Broad Spectrum CBD Oil is ideal for users who cannot have any trace of THC in their system, whether it be for a job, passing a drug test, or personal reasons. What is CBD Isolate or Concentrate? CBD Isolate or Concentrate is oil that is 99.9% pure CBD. During the CBD isolate extraction process, every compound contained in the plant matter is removed, including any traces of THC, terpenes, waxes, oils, chlorophyll and more. CBD Concentrate is great for both topical use and for consumption and culinary purposes. You can add CBD Concentrate to your favorite massage oil or lotion and create a wide variety of homemade bath and body items. CBD Concentrate is also great for consumption. With Concentrate, you can bake edibles like brownies or cookies, or make a savory snack like Guacamole. In summary, Full Spectrum CBD Oil contains everything the hemp plant contains, including THC. Broad Spectrum CBD Oil and CBD Isolate do not contain any THC. Thanks to the passage of The Farm Bill in December of 2018, CBD Oil is now Federally legal, making it legal to ingest, consume and possess across all 50 states. CBD Oil is called CBD Hemp Oil because it is derived from the hemp plant. You may also hear about Hemp Seed Oil, which is different. Hemp Seed Oil is a mainstream product found at the grocery store and is used for culinary purposes. Hemp Seed Oil is different from CBD Hemp Oil. Hemp Seed Oil is made by pressing hemp seeds, rather than the leaves or the buds. This is similar to how olive oil is made by pressing whole olives. Hemp seed oil does not contain the cannabinoids CBD or THC. Studies have shown that there are no cannabinoids present in hemp seeds. Hemp seeds, and hemp seed oil, are referred to as a ‘superfood’ due to their high omega-3 fatty acid and nutrient content. Hemp seeds and hemp seed oil are derived from the Cannabis sativa plant, but again contain no cannabinoids. These seeds are nutty tasting, small, soft seeds that are used for culinary purposes. They are high in plant-protein, dietary fiber, omega-3, and omega-6 fatty acids, and are rich in antioxidants. 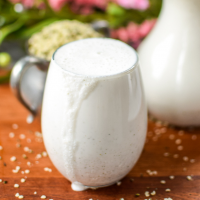 They make an excellent addition to many recipes, like this Homemade Hemp Seed Milk. 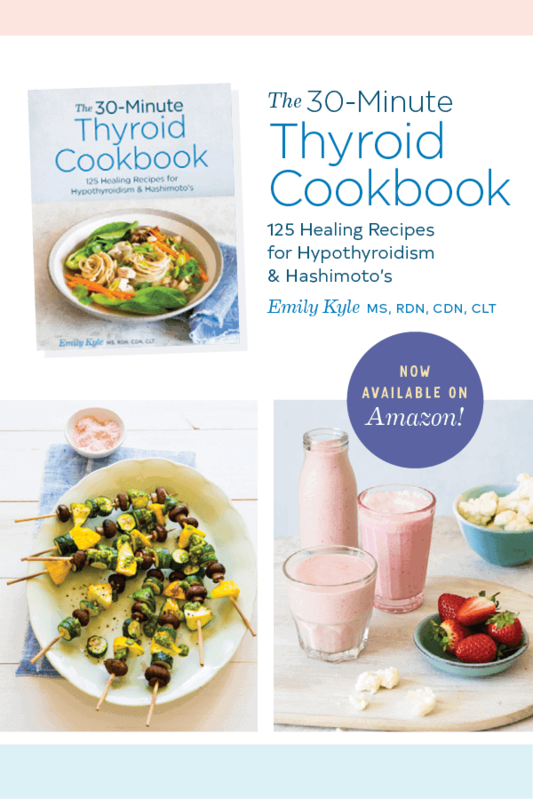 Delicious and nutritious recipes featuring Hemp Seeds, Hemp Seed Oil, and CBD Hemp Oil from Holistic Cannabis Practitioner and Registered Dietitian Nutritionist Emily Kyle. Easily make your own creamy Homemade Hemp Seed Milk in under 30 minutes. Naturally vegan, gluten free, Paleo, Keto, and Whole30 approved. Warm, soothing and packed with anti-inflammatory spices, this naturally vegan and gluten-free CBD Infused Pumpkin Spice Latte brings together the comfort of the traditional PSL with the healing benefits of pure CBD Oil for an experience like no other. 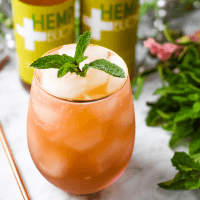 Learn more about these 5 Health Benefits of Kombucha Fermented Tea, including Hemp Infused Kombucha, and how this delicious beverage can help to support a happy & healthy holistic lifestyle. 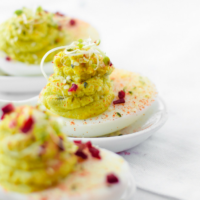 A unique twist on the classic party favorite, these Hemp & Avocado Deviled Eggs are a high protein, mayo-free, wholesome snack. 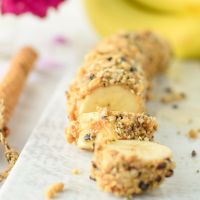 Everyone in the whole family will love this Easy Banana Sushi, an easy, fun-to-make treat that will help to get your kids in the kitchen to develop a love of cooking at a young age. Anti-inflammatory Tuna Faltbread Sandwiches with 3-Recipe Twists. Is Hemp Seed Oil Legal? Yes, hemp seed oil contains NO THC or CBD and is federally legal. You can purchase hempseed oil at your local grocery store. What is THC Tetrahydrocannabinol or Marijuana Oil? THC is the psychoactive component of the cannabis plant and is the primary agent responsible for creating the ‘high’ associated with cannabis use. Marijuana oil, also known as THC oil, is created by extracting and isolating the THC compound from the marijuana plant. This oil typically contains high amounts of concentrated THC. Is THC Marijuana Oil Legal? THC and marijuana oil is not legal by federal law, but it is legal in states that allow for recreational or medicinal use of cannabis with a doctor’s prescription. Everywhere you go you see CBD and other Cannabis oil products for sale, anywhere from the sketchy ‘smoke’ shop down the road to the next MLM pusher on Instagram. The internet is a whole different story. With CBD being so new to the marketplace, it is understandable how it can be difficult to find the right product for you, and difficult to find the right brand you can trust. The scary fact is that the recreational cannabis industry is not regulated. The FDA has not approved marijuana as a safe and effective drug for any indication. Unfortunately, we cannot simply trust that companies producing cannabis products are acting in ‘good faith’ and producing safe products for human use and consumption. Many cannabis products, including marijuana, have issues with environmental contamination by way of pesticide, herbicide, or fertilizer uptake and heavy metal or solvent contamination, left over from the process of extracting oils from the cannabis plant. After conducting my own research, I personally decided to partner with VivaOil, a Colorado based CBD producer, due to their commitment to purity, quality, and safety and convienent ability to buy cannabis oil online. VivaOil is a small, family owned company, who understands that CBD oil is not just another trend or fad, but a product with the ability to help out mothers, brothers, sisters, friends and dearest loved ones find relief from the symptoms that plague their life. For VivaOil to produce their CBD products, they have partnered with local Colorado farmers who have bred specific strains of help that maximize the output of cannabinoids like CBD and terpenes such as limonene and myrcene. Using precise supercritical CO2, technicians use pressure, temperature, and time to extract only the desired cannabinoids, flavonoids, and terpenes, while leaving behind the unwanted plant materials. This eliminates the need for any additional post-processing and leads to a clean, flavor-rich oil. The CO2 extraction method is known to be the safest, most superior, method of CBD extraction. The extracted CBD is then mixed with high-quality MCT coconut oil for optimal delivery. Most importantly, independent third-party lab testing is conducted to ensure that only the highest quality product carries the VivaOil name. Ensuring independent, third party lab testing has been conducted on the products you choose to use is imperative to ensure that what advertised is in the product is really in the product. It is clear that Cannabis oil is not going anywhere. In fact, cannabis use is set to continue to rise in popularity as marijuana reform sweeps the country and legalization becomes widespread. I fully believe in the medicinal properties of the cannabis plant, both hemp and marijuana, but I worry that a lack of education surrounding cannabis continues to fuel misinformation, mistrust, or a blind trust in the industry. If you are wondering if cannabis is right for you, and how to incorporate it into your currently lifestyle, I highly recommend reaching out to a trained Holistic Cannabis Practitioner to help you on your journey. Any Questions about Buying Cannabis Oil? Feel free to leave your questions in the comments below or to email me directly at (emily@emilykylenutrition.com) and I will try to answer your question as best as possible. « What is a Holistic Lifestyle And What Does It Look Like?